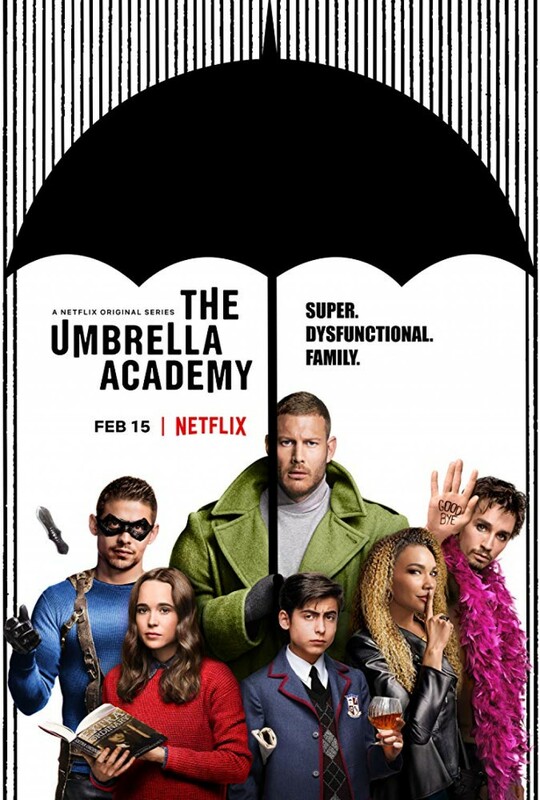 I'm Brandon Norman and this is my recap of episodes from The Umbrella Academy on Netflix. Episode 1 starts off with a mystery. In 1989, 43 women get pregnant and give birth within the same hour all in the same day. Sir Reginald Hargreeves sets out to adopt as many of these children as he could and ended up with 7 of them. Skipping forward, it shows 6 of them as adults. Luther (#1) on the moon. Diego (#2) stopping a home invasion. Allison (#3) walking a red carpet. Klaus (#4) getting out of rehab. Vanya (#7) playing the violin in an empty venue. Suddenly, they all get notified of their adopted father’s death. The five siblings meet at their father’s estate shortly thereafter. Tension is felt as soon as they interact with one another. Diego berates Vanya that she should not be there after what she’s done. After Diego goes into another room, he and Luther argue whether or not Reginald’s death was due to heart failure. While Vanya is talking to Reginald’s chimpanzee assistant, Mr. Pogo, it is revealed that #5 has been missing for 16 years. While going through Reginald’s office, Klaus is confronted by Luther to drop whatever he’s stolen from the room. Klaus drops something, then reveals once he’s left the room that he had another item hidden on him. With all the siblings sitting around discussing the burial arrangements, Luther suggests that Reginald’s death could have been a murder. He tells them that Reginald’s body wasn’t found with his signature monocle, that whoever did it knows how much that monocle meant to him. Luther asks Klaus if he can communicate with their dad, revealing Klaus’ power is him having the ability to communicate with the dead. The siblings believe that Luther is accusing one of them of committing the murder and leave the meeting. A flashback of a bank robbery that happened 17 years ago plays. Allison, standing next to a bank robber, tells him that she’s heard a rumor that he’ll shoot his associate in the foot. He proceeds to do just that, revealing her power is manipulation. Diego throws a knife and kills one man. Another boy is shown to disappear then reappear, hitting one robber with his own gun. Another boy who has not been introduced but named in the flashback, Ben, goes into a room and transforms into a giant monster, ending another robber. Reginald and Vanya are on a rooftop in the distance watching this take place. Reginald informs Vanya that she cannot help because there is nothing special about her. The flashback ends, and Klaus is shown trying his best to communicate with Reginald, with no prevail. Luther plays a record and “I Think We’re Alone Now” by Tiffany plays while the siblings all start dancing in separate rooms. A terrible lightning storm comes out of seemingly nowhere and conjures a portal that transports the missing #5, still in the form of a boy, exactly as he was when he left. #5 tells them that he time jumped, and it caused him to get stuck in the future for 45 years. While #5 is talking to Vanya, it is revealed that Vanya wrote a tell-all about the family and that’s what caused the family’s gripe with her. Very little is also discussed about Ben’s death. Now outside to dump Reginald’s ashes, Mr. Pogo begins his speech to honor him. Diego lashes out and calls their father a monster. Luther takes offense and a fight between the two breaks out. Little damage is done until Diego slices Luther’s arm with a throwing knife. Another flashback plays, and it shows the children training and getting matching tattoos while Vanya watches in the background. Present day, the siblings leave the house and #5 goes to a diner for a cup of coffee. While at the diner, #5 conversates with the only other customer. #5 tells him a lot has changed since “he was a kid” which naturally confuses the customer as #5 still looks like a young child. The customer leaves and gunmen enter the diner. #5 chains teleportation attacks together and takes out all the gunmen while “Istanbul” by They Might Be Giants plays in the background. #5 cuts into his skin and takes out a tracking chips while leaving the diner. The waitress, the only witness of the scene, peaks her head up over the counter. Diego, now parked by the river, holds out a monocle and stares at it. Klaus, while in the backseat of Diego’s car, is talking to the deceased Ben. 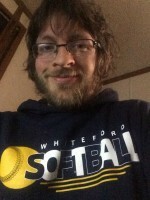 Vanya goes back to her apartment, where #5 is waiting for her. #5 informs her that there is nothing in the future and humans are wiped out. He tells her that the big even that wipes everybody out will happen in 8 days. The episode ends with Vanya telling #5 she’ll put on a pot of coffee for him.